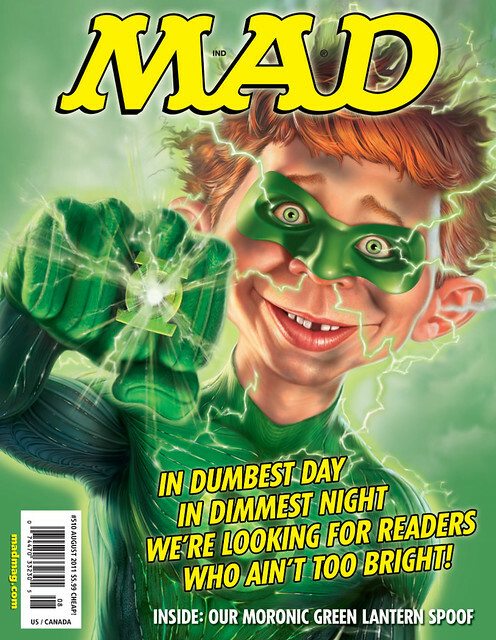 I love this wacky new cover to the August issue of MAD Magazine (on sale 6\28\11) with Alfred E Newman in a Green Lantern uniform. 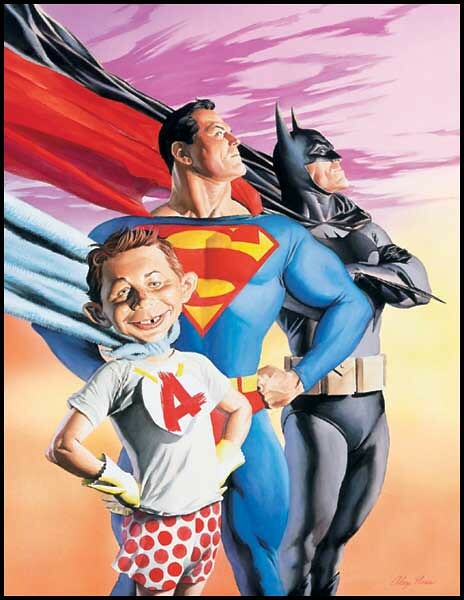 Reminds me of the MAD About Superheroes trade paperback with a brilliant cover by Alex Ross, showing Newman alongside Superman and Batman. Nuff Said!